I’m a huge personal development junkie, which should come as no surprise. After all, even though this is primarily a mindful travel blog, The Reset Ritual, at heart, is about transformation. Just as in travel, reading books for self-discovery can shift our perspective, open our eyes to new worldviews, inspire us to make change and perhaps most importantly, encourage a growth mindset that we can live our lives by every day. Whether you’re looking for a new book to read on a transformational trip, a DIY personal retreat or just at home in bed, here are a few of my tried-and-true favorites for your next inspirational read. This post contains affiliate links to products I value and trust. If you purchase a product through an affiliate link, The Reset Ritual may receive a small commission and no cost to you. Thank you! This book is so refreshing in its simplicity. Based on ancient Toltec wisdom, the book outlines four “agreements” which can be interpreted as guidelines to a well-lived life: be impeccable with your word; don’t take anything personally; don’t make assumptions; always do your best. The agreements may seem trite, but the real magic lies in the context Ruiz provides around each one. Manson’s style polarizes; people love it or hate it. I happen to be a fan of his no-nonsense approach to personal development. If you’re not into flowery language or new-agey concepts and prefer to have someone kick you in the pants with truth bombs, this book is for you. The basic premise is this: the key to happiness is knowing what not to care about (hint: a lot of things). The book outlines Manon’s philosophy on why, what, and how you should define what that is. The ideas he presents aren’t new necessarily, but his delivery provides a fantastic perspective that’s very worthy of reading. This book feeds my introvert soul in a world (well, a country, at least) where extroversion is highly valued and introversion is seen as some kind of defect. Cain outlines why introversion is a gift and how to use your introvert advantages in work, life and parenting. An insightful read for both introverts and extroverts. I’m a big fan of Martha Beck. I will pick up an Oprah magazine just to read her column. I mark up her books with so much highlighting that there’s no point in highlighting anymore. What I love especially about this one, though, is how it’s centered around the life coaching she does during her retreats in South Africa. Tales from an African safari become powerful metaphors and lessons that we can use to create our best lives. Since travel and personal development is what we’re all about around here, it’s no surprise that I consider this one of the best books for self-discovery and finding direction. Of all the books on this list, this is the one I’ve read multiple times and will surely read again. Put simply, this book is all about self-sabotage: how to recognize it, why we do it, and most importantly, how to overcome it. If you keep finding yourself saying “I’ll be happy when….” or simply can’t figure out how to move beyond a plateau in work, relationships, entrepreneurship or life in general, pick this one up stat. The book’s subtitle says it all: a guide to creating goals with soul. LaPorte was the first to introduce me to the concept of using feelings as goals versus achievements. She argues that it’s not the achievement itself that we truly want, but the feeling that we think that particular achievement will give us. By chasing the “thing” instead of the feeling we desire, we’re burning ourselves out only to never reach the level of fulfillment we crave. Working through what she calls your “core desired feelings” you’ll unearth a new layer of self-discovery and be able to plan your life in a way that feels good right now. There’s a reason why this book is so highly praised in the creative and entrepreneurship worlds—it calls out exactly why we struggle to produce the work we want to. It was written for writers, but the subject matter will resonate with anyone making something to put out into the world. Although Stoic philosophy came about in the 3rd century BC, it’s gained a newfound popularity today, largely among male personal-growth devotees in the tech, entrepreneurship and pro-athlete worlds, so it makes sense that Tim Ferris is one of the biggest evangelists out there. 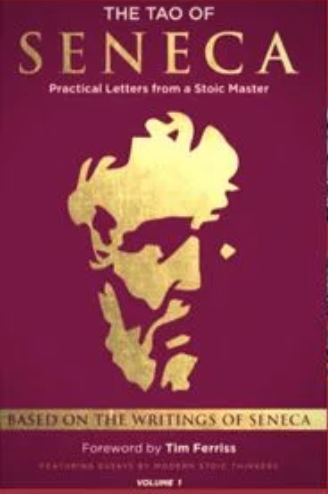 As he puts it in the book’s forward, Stoicism “At its core, it teaches you how to separate what you can control from what you cannot, and it trains you to focus exclusively on the former.” If you’re skeptical, good news: you can grab the PDF volumes for free right here and see if it’s for you. I love pretty much everything Brené Brown writes, however, this one grabs my heart most. Through her 10 guideposts, Brown’s words will help you cultivate a life that feels more empowering and fulfilling on your own terms. If you struggle with perfection, people-pleasing, letting yourself be vulnerable or a general lack of “enoughness” this book is for you. What are your favorite books for self-discovery? I’m always on the lookout for new reads, so drop your suggestions in the comments below. I’d never heard of Quiet! This is a great list. Perhaps I’ll get Martha Beck for my long drive tomorrow! Thanks! Quiet is a great read! I think you’ll also love Martha Beck. She brings a lot of humor to her writing.